A Tunisian court has sentenced seven Muslim radicals to life in prison over attacks at a museum and on a beach in 2015 that killed 60 people, including three Irish tourists, prosecutors have said. Dozens of defendants faced two separate trials over the closely linked shootings, which occurred just months apart in Tunis and Sousse. 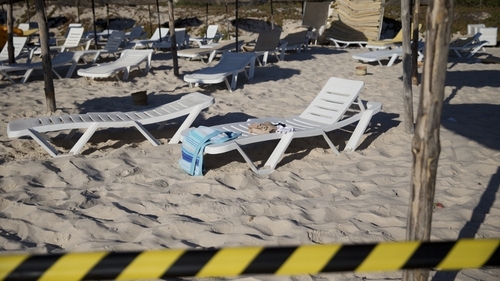 Four were sentenced to life in prison for the shooting rampage at a Sousse tourist resort in June 2015, which killed 38 people, including Co Westmeath couple Laurence Hayes, 56 and his wife Martina Hayes, 55, and Co Meath woman Lorna Carty, 54. Five other defendants in the Sousse case were handed jail terms ranging from six months to six years, while 17 were acquitted, a prosecution spokesman said. Three were given life sentences for the earlier attack in March 2015 at the capital's Bardo National Museum, in which two gunmen killed 21 foreign tourists and a Tunisian security guard. Others found guilty of links to the Bardo attack were sentenced to prison terms ranging from one to 16 years, and a dozen defendants were acquitted, the spokesman said. The prosecution will launch an appeal, he added. The court heard that the two attacks, both claimed by the Islamic State group, were closely linked. Several defendants pointed to the fugitive Chamseddine Sandi as mastermind of both. According to Tunisian media, Sandi was killed in a US air strike in neighbouring Libya in February 2016, although there has been no confirmation.